Don't spend hours entering stats from a scorebook into your computer. Use our mobile app to live track player and team statistics, hit 'Save', and you're done. "Recording scores and stats is a ton of work." We know. Let us take the most annoying part of running your basketball league or team - writing down and uploading scores and stats - and turn it into the most fun part of your job. Our apps take care of tallying up totals in every statistical category and even sending it up to our website: all you have to do is tap one button. 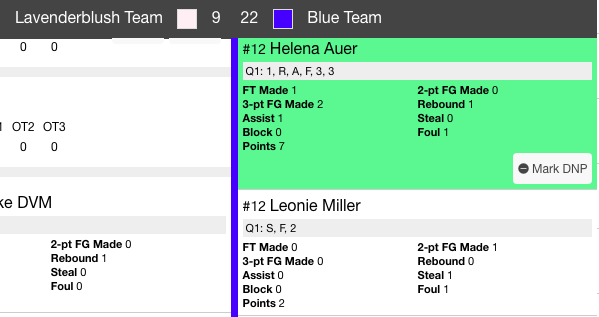 Automatically tally scores, fouls, and more. 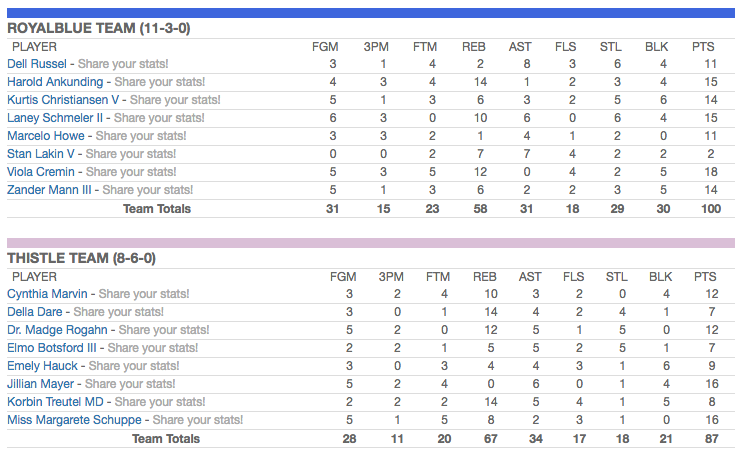 With our app, there's no need to worry about adding up fouls, or calculating which team is in the bonus. Everything is taken care of automatically. You can also keep track of team timeouts, per half and per game. View a live history of the game. 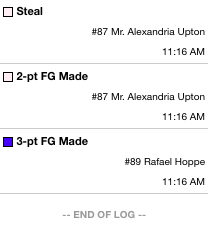 Since our app keeps live tracking of each individual player's statistics, you can instantly see what the last few plays were, using our game log feature. You can see what every player has done in the last few plays. Our best feature - once you are done keeping stats, there's no hours and hours of typing in numbers into a computer: just tap 'Save' and your stats will be uploaded to our website in seconds. You'll never have to bug someone to share the stats again - and anyone can visit your site to view the totals, analyze the game log, and do a deep dive into your team and player analytics. Sign up and get access to our free statistics tracking apps.